‘Yeats’s handwriting resembles a mouse’s electrocardiogram,’ writes the late Daniel Albright in his preamble to the marvellous Everyman Library edition of W. B. Yeats’ Poems, which he edited. First, he is more respectful of Yeats’s punctuation than I. 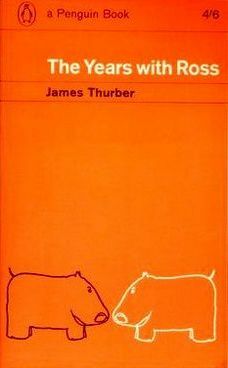 He supposes […] that Yeats’s punctuation was rhetorical rather than grammatical, an imaginative attempt to notate breath-pauses, stresses, and so forth; and that the bizarre punctuation in some of Yeats’s later poems is due to the influence of experimental modernists such as T.S. Eliot and Laura Riding. I suppose that Yeats was too ignorant of punctuation to make his deviations from standard practice significant. Although Yeats surely wished to make his canon a text worthy of reverence, he conceived poetry as an experience of the ear, not of the eye. He could not spell even simple English words; he went to his grave using such forms as intreage [‘intrigue’] and proffesrship. His eyesight was so poor that he gave up fiction-writing because the proof-reading was too strenuous. Finally, Yeats himself admitted, ‘I do not understand stops. I write my work so completely for the ear that I feel helpless when I have to measure pauses by stops and commas’. 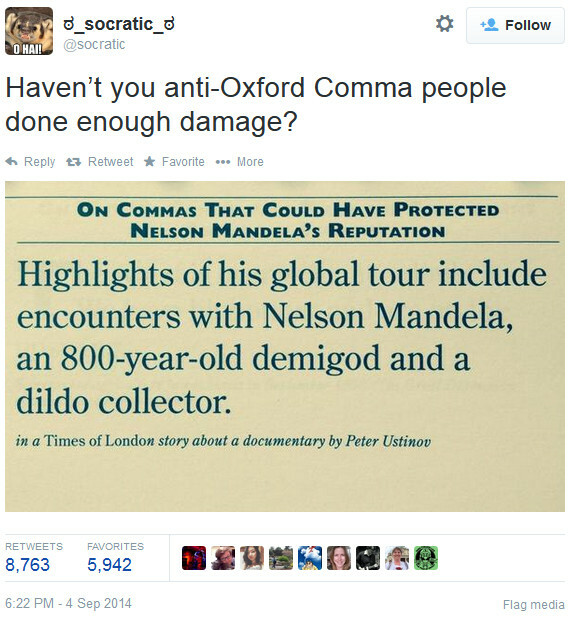 The Oxford comma (the one right before and in the title of this post) has been in the news again. It never really goes away, but now and then it intrudes more noticeably into general discussion. I’ve a couple of brief points to make about it, but anyone unsure of the terrain should first read my earlier post on the Oxford, Harvard, or serial comma, as it is variously known. The Oxford comma is one of those in-group niceties that some wordsmiths use to mark their editorial or writerly identities. It has become a sort of tribal badge of style, reinforced by whether your preferred authority prescribes it – for example, the Chicago Manual of Style strongly recommends it, while the AP Stylebook says leave it out. It’s remarkably divisive, so I’ll restate for the record that I’m not a die-hard Oxford comma user or leaver-outer. I like it, and I tend to use it, but not always. Neither its use nor its omission is a universal solution – ambiguity can arise either way, so it doesn’t make sense to be inflexible or dogmatic about it. I’ve written before about a comma(,) which muddles meaning, and a comma with restrictive which. The first was in a newspaper editorial, the second in a de Maupassant translation; both were inserted seemingly because of an unfortunate belief in the bogus rule about that and which. Ultimately, though, the authors remained wedded to belief systems, which suggest that there are basic inherent differences between women and men. The appearance after belief systems of a comma followed by which induces a pause and primes the reader to expect a relative clause about the consequences of remaining wedded to belief systems in general. But that’s not what happens. First, uninflected suggest implies that the antecedent (what which refers to) is plural, i.e., belief systems, not the (singular) fact that certain authors remain wedded to them. Then the rest of the line shows that the writer is talking about specific belief systems. So the relative clause is restrictive – the type of belief systems referred to is semantically restricted. Adding a comma makes it non-restrictive, which makes no sense here. I had to reread the sentence to parse it properly, this time ignoring the misleading comma. Maybe the writer used which rather than that to avoid repeating that (“belief systems that suggest that”), though of course the second that is optional. Or maybe she just preferred which there. Either relative pronoun would have been fine. Adding a comma was not. Again I’m inclined to think the comma was added by an editor who remains wedded to a belief system* which misinforms them about the grammaticality of which in restrictive clauses in all varieties of English. Further reading: a discussion among editors on the that/which pseudo-rule. Or see the links above for more detailed discussion. * Note the complete lack of a comma here. Savour it. I had an experience today yesterday, which has upset me considerably. Lest there be any doubt: the context indicates it was the particular experience the narrator had that upset him, not the fact of his having any old experience. The normal approach in such cases is to forgo the comma and use either which or that: I had an experience today which has upset me considerably. I wonder at what point – and from whose hand – the comma appeared. Was it meant simply to signal a slight pause, its grammatical ambiguity an accident of shifting styles? Or was it inserted needlessly by an editor schooled in the fake that/which rule? Either way, it bears comparison with this rogue comma in a recent Guardian editorial.